Should I Have More Than One Practice Website? Back in the day, countless practice management consultants recommended having multiple websites. 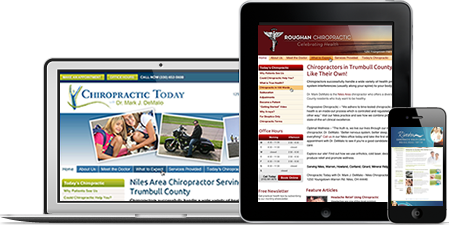 One site for your chiropractic practice. Another site for your weight loss business. And still another website for your spinal decompression and rehab business. Today, that may work against you. So if you currently have, or have ever considered having, multiple domains for your chiropractic practice, consider the downsides listed below and decide if that strategy is right for you. Backlinks are links to your chiropractic website from other credible websites. Building a strong backlink profile is part of an effective SEO plan. 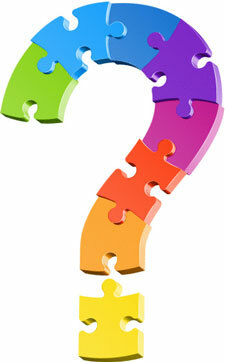 If you have more than one domain, which one do you want these links pointing to? Since most website owners find that securing quality backlinks is one of the more difficult tasks, multiple websites makes this job even more difficult. You either need to divide up your backlinks, pointing some to one domain and some to another (which means you’re dividing up the power of these links), or simply focus on one site. Every website you own needs to have its own unique content. If you simply copy and paste the content of one website to another, you will have what is known as duplicate content—a situation that essentially confuses Google and may cause them to suppress your sites from search results altogether. To avoid this penalty, you need to write unique content for each website or hire a professional writer to do it for you. Consider the time and money necessary for this to determine if it’s worth it. Another content issue that arises when chiropractors have more than one website to maintain is the time needed to add fresh content in the form of blogs to the websites. We know that Google and the other search engines like websites that regularly post new content, making blogging a popular option. If you have time in your busy schedule to write one blog post per week, wonderful! Google is bound to like the fact that you are staying current and providing your website visitors with new valuable content on a regular basis. But, wait. You have two practice websites? Now that blogging power is being divided between the two, with each website only getting a new blog post every other week. Add to that the fact that your backlinks are split between the two and you’ve likely got two mediocre websites as opposed to one powerful one. If there’s one thing you don’t want to do, it’s confuse Google. And you certainly don’t want to confuse prospective new patients either. When a local person is searching online for a new chiropractor and they stumble onto your two practice sites, they’re bound to be puzzled. Are these the same practice? Maybe one site is old. Which one should I look at? Ugh. Never mind. 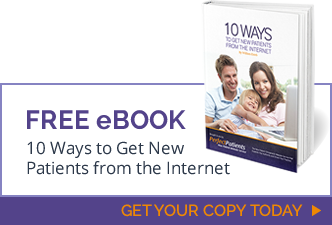 Your job is to make it as easy as possible for prospective new patients to find you, browse your site, and call your office. Anything that impedes this process will send them to your competitor down the street. In addition to the duplicate content issue mentioned above, another factor that can confuse Google and lead to poor search engine performance is your website’s NAP schema markup. NAP is your practice Name, Address, and Phone number and having it correctly displayed on your website tells Google what information to show people in local search results. But what if two websites have the same NAP? Google isn’t going to risk showing the wrong result, so they may opt for showing neither. You could have NAP schema markup on one website and add that same info in an image (so that the text isn’t crawlable) to the other, but without crawlable NAP, that site is virtually useless when it comes to local searches. If you already own several domain names, they can be set up properly to automatically redirect to your main practice website. This ensures that any traffic those other domains receive is directed to the right place, without you having to maintain more than one website. Some chiropractors like to purchase keyword-rich domain names simply to prevent competitors from buying them. Another old-school technique that no longer gives you an advantage. While this technique won’t necessarily hurt your online presence, know that simply purchasing the domain name to have it redirect to another site isn’t going to improve your rankings or the amount of new patients you generate. In the end, the most effective use of your energy, time, and budget is to invest in one main practice website. With that site getting all the love, it’s more likely to be an authoritative, new patient generating machine.